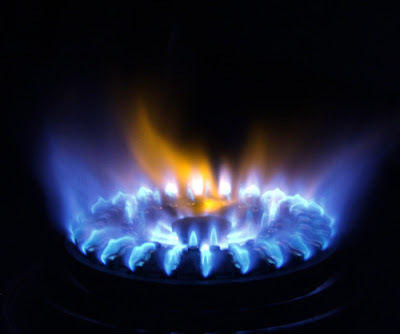 KIEV, Ukraine -- Ukraine decreased the amount of imported natural gas by 48.77 percent over the first five months of 2012, compared to the respective period of 2011. The volume of imported gas in January - May 2012 reached 12.8 billion cubic meters. Ukraine paid USD 416 per thousand cubic meters of imported gas in Q1 2012. The price increased in the second quarter of 2012 - reaching USD 425. These price tags include a USD 100 discount, agreed by the parties in 2010. Average price European countries pay for Russian gas in 2012 amounts to USD 415, according to Neft Rossii. Ukraine is negotiating the decrease of gas price - to USD 250. Ukraine will have to spend almost 27 percent of its estimated budget income in 2012 on Russian gas (USD 8-10 billion). This is more than the country plans to spend on healthcare in the c.y., noted the Prime Minister of Ukraine Mykola Azarov. The country seeks to agree on lower gas price with Russia, as well as lower its gas consumption and increase domestic energy production. In June 2012, the Ministry of Energy and Coal Industry of Ukraine informed that over the first five months of 2012 Ukraine increased its own production of natural gas by 146.7 million cubic meters compared to the respective period of 2011. Achieving energy independence has become top priority for the President of Ukraine Viktor Yanukovych, said the Ukrainian Energy and Coal Industry Minister Yuriy Boyko on June 5th. The State Program on Energy Efficiency 2010-2015 sets the goal for improving Ukraine's energy independence. According to the program, Ukraine will reduce domestic energy consumption through increasing energy efficiency, developing unconventional gas production, developing domestic gas reserves, introducing green energy production technology, and diversifying gas import. Importing up to 70 percent of natural gas from Russia, Ukraine is negotiating a number of gas importing deals with Azerbaijan, Germany, Iraq, Norway, Romania, Turkey, etc. Ukraine plans to finish the construction of its billion cubic meter LNG terminal at the Black Sea by 2014, grasping the opportunity to arrange gas import from a wider range of suppliers. Additionally, Ukraine sets up its own shale gas production. "The first license tenders have been awarded to Shell and Chevron," noted Boyko.